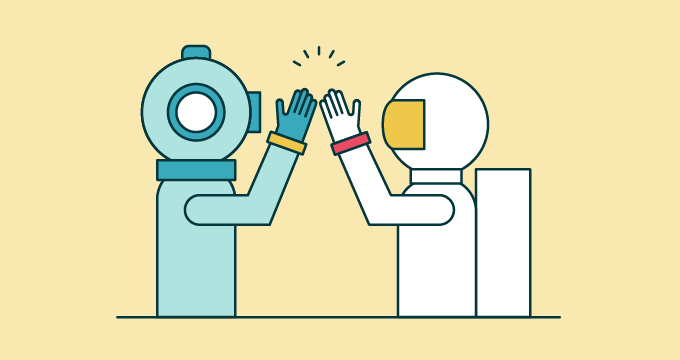 In this guide, we provide tools and frameworks to structure your support team based on what leaders have learned from their experience here at Zendesk. We practice these strategies as our own customer support team changes to keep up with the pace of the company’s growth. A good team always starts with establishing a strong foundation. First, identify your company needs and circumstances. For example, if you’re a software company, will most of your tickets be technical issues? What about if you’re a retail company? If your company were to categorize your tickets, which would have the highest volume? This will provide a starting point to manage expectations, and define the roles, functions, and teams that are needed to meet and support those needs. Zendesk’s Customer Advocate teams are organized into three team tiers to manage complexity by segmenting tasks and focus areas. By dividing and conquering, agents can answer issues within a certain beat, dive deeper and gain expertise along the way. When is it time to add a Support Organizations team? When is it time to add a tier? When is it time to specialize? When is it time to triage tickets? After building out a solid team architecture, then comes the glue to fit these pieces together to ensure a positive support experience for the team. We’ve highlighted several skills and practices that agents and managers should practice to support one another, and ultimately customer satisfaction. There’s more to being a customer advocate than showing up. Here are a few qualities that managers should look for when recruiting, hiring and on-boarding customer service representatives. Managers have the responsibility to ensure that organization is delivering the level and quality of customer service that it promises. This means managers need to create a great support experience for agents. After all, happy agents mean happy customers. When a company is growing, employee retention is critical to keep the momentum going. Empower your agents by providing opportunities for career advancement – show that there’s room to learn and grow. This opens doors for peer mentorship and cultivating a scalable and sustainable organization as veteran staff move up and new faces arrive. There’s a lot to process and think about. But regardless of what stage your company is at right now, this guide will get you thinking about the process of building a customer support team that works well with your organization, and continue providing the best customer service.